Is this lifestyle athleticwear subscription really worth it? It has always has been my philosophy to spend the least amount of money possible on activewear. I figure why buy expensive Lululemon shorts, or a “Free to Be Serene Tank” (they really call it that) when you're just going to sweat through the clothes and toss them in the dirty laundry? For this reason, my workout gear is usually just made up of black leggings and an old T-shirt. But a co-worker/gym buddy recently turned me on to the brightly colored yoga pants and matching tops of Fabletics. This member-based online retailer (they do have a few brick-and-mortar locations) offers big discounts on fitness clothing and accessories that mimic the style and quality of those high-end fitness apparel retailers. My co-worker's rationalization for spending a bit more money on exercise gear was that the better you look, the better you feel, the harder you will work out. I have to admit I doubted that logic, but because I am still trying to lose a few stubborn holiday pounds, I decided it couldn’t hurt to give her theory a shot by becoming a VIP member at Fabletics. 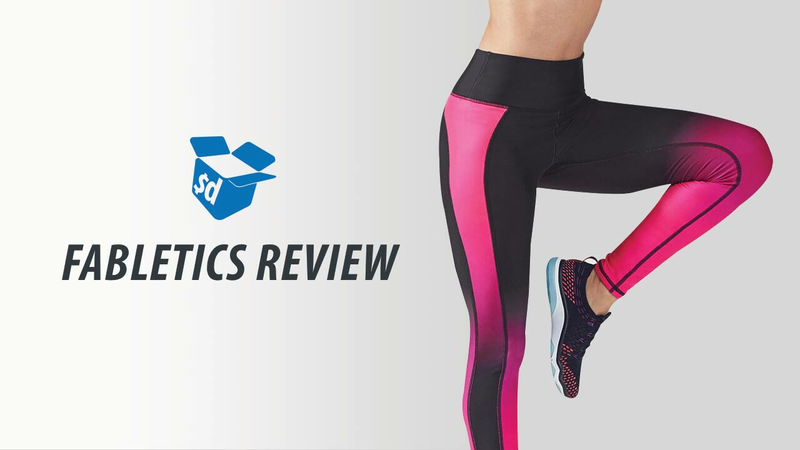 Disclaimer: Slickdeals covered the cost of the Fabletics products described in this membership review. 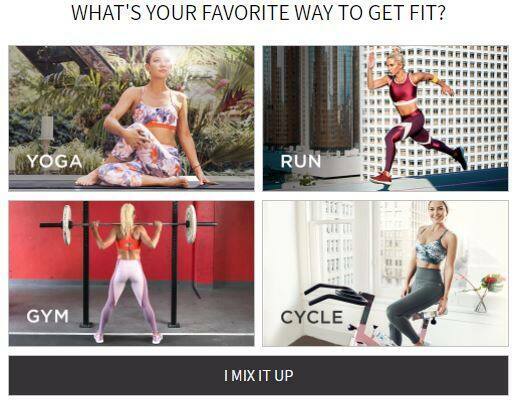 When you go to the Fabletics website for the first time, you'll complete a “lifestyle quiz” and share details about your fitness routine, where you like to work out, what colors or prints you think are the most “fab,” and your body type. They'll use this information to provide you with several pages of customized outfit options on the first day of every month. I should note at this point that you don't actually have to become a member to shop Fabletics, but it's the membership that gets you those big discounts. Once you join as a VIP member -- which is actually the only membership option -- your first outfit is highly discounted and will cost around $25. You also get much lower prices on individual items your first time around, so choose wisely. For example, I purchased two pairs of leggings for $24, even though they normally retail for for $39.95 ($44.95 for non-VIP members) and $49.95 ($79.95 for non-VIP members) each. A savings of $65.90! To me, this is the true Fabletics hack. Skip every single month (except, of course, the first month in which you become a member) and then, you can buy whatever you want at the VIP discount prices. But here’s the catch: the VIP membership program "requires" you to spend $49.95 a month (not really, but more on that later), and you can't mix and match the outfit options. So, what if you like the tank top in one of the pictures, but hate the leggings? You still have to buy the whole outfit. Plus, outfit prices start at $49.95, but can run as high as $89.95. The good news though is that you can skip a month (or several) with no consequence. Plus, if you skip a month, you can still go on to buy just one item, like a tank top or a pair of shorts, so you aren’t spending the full $49.95. To me, this is the true Fabletics hack. Skip every single month (except, of course, the first month in which you become a member) and then, you can buy whatever you want at the VIP discount prices. Fabletics will email you the first of every month reminding you to make a purchase, but as long as you opt to skip the month within five days of that email, you’re in the clear. Note that this is the process regardless of which day of the month you subscribe, so consider joining at the beginning of the month so you have more time before you need to take action. If you forget to skip and you also don’t place an outfit order, your card will be charged $49.95 on the sixth of the month. According to my workout buddy, you can call customer service and claim you forgot to skip, and they will refund your credit card as a “one-time courtesy.” She claims to have done this at least three times. However, if your card is charged because you forgot to skip and you don’t want to put up a fuss, the money will be waiting in your account as a credit. I live-chatted with a customer service rep to find out what happens if, hypothetically, you forget to skip a month and your card is charged the $49.95. Do you have to spend it on an entire outfit or can you just buy whatever you want? I was informed that while you do not have to buy an entire outfit, you must spend all $49.95, not just $20 or $30. So is all of this hassle worth it? It’s a pain remembering to skip every single month, even with the email reminders, so it really comes down to the quality of the product. Overall, the style and durability is definitely comparable to other high-end retailers like Lululemon -- and at a much lower price point. I ordered two sets of High-Waisted Printed PowerHold leggings and both looked and fit great. I love the compression, plus they have even held their shape and elasticity after a few washes. My only complaint is that the waist folded over a few times while I was working out, so I found myself doing a lot of adjusting. I also ordered the Courtney Midi Bra, which is stylish, but not very supportive. Granted, I have a lot to deal with up top, but I would not recommend Fabletics bras unless you are an A or B cup, or just looking for something to lounge around in. Note that if you don't love what you've purchased, the Fabletics return policy stipulates that you can return an item within 30 days of the shipping date. As a bonus, you can also return single items from an outfit for a refund equivalent to that item's individual price. As with many subscription-based sites, there are additional ways to save money at Fabletics. If you refer a friend and they become a VIP member, you get $20. You can also get points added to your account after your order ships and for leaving reviews. You earn 20 points for every review and 2 points for every dollar you spend. You can trade these points for items like water bottles, yoga socks, and headbands at the 300-point level. If you bank 700 points, you can choose from a variety of sports bras or tanks, while 2000 points will get you shorts, leggings or a T-shirt. Is Fabletics' VIP Membership Right for You? If you're the type of person who stays on top of your subscription sites and never misses a chance to skip a month, and you also LOVE getting new workout clothes regularly, Fabletics might be a good fit. For me though, while I did feel more confident and energized in my new Fabletics workout attire per my co-worker's claim that looking better makes you work out harder, I just don’t see myself buying something new from the site every month. It’s not that I don’t want to -- believe me -- but personally, I need more reasons to save money, not feel pressured to spend it every month from all the Fabletics marketing emails filling my inbox daily. Still, you can cancel anytime, and if you have any store credits remaining when you do, Fabletics will credit that money back to your card. And although I will be ending my VIP status soon, if there’s ever an outfit I just have to have, I'd happily re-up as a Fabletics VIP member.